Two new hotels will be constructed on the Danzigerkade in the Houthavens area of Amsterdam. First is a trendy MOXY, the new hotel brand of Marriott International, and second, a Residence Inn by Marriott, a hotel brand originating from the United States of America. MOXY is a bold, trendy hotel concept that focusses on Generation X and Y. Residence Inn is an Extended Stay hotel that focusses on guests who plan to stay in the city for a longer period of time. The hotels will be built in collaboration with investment developer Heren2, Cycas Hospitality and Marriott International. 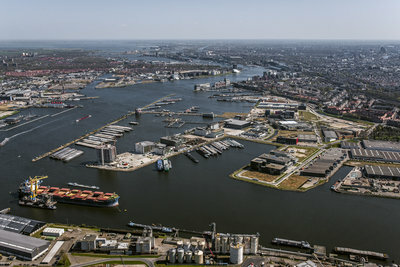 Colliers International guided Heren2 during the transaction, who applied its international expertise in real estate services and specialisation in hotels for this project from its office in Amsterdam. It is expected that the hotels open their doors in the Fall of 2017. The construction of the MOXY Hotel and the Residence Inn by Marriott starts shortly. 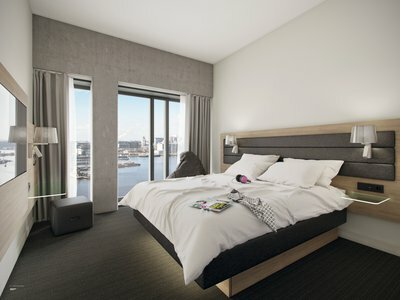 Both the MOXY, with its 120 rooms, as the Residence Inn, with it’s 60 rooms, will be a great asset for the city as a whole and the Houthavens as a blossoming hotspot. The Extended Stay character of the Residence Inn is a first for Amsterdam; guests are welcome to stay for a longer period of time. Both brands belong to the international Marriott hotels organisation. The hotels will be built on a location that overlooks ‘t IJ and will house a restaurant, a pool and a gym, to be used by hotel guests. The hotels will be a collaboration between the investment developer Heren2, Cycas Hospitality and Marriott International. MOXY is Marriott International’s newest hotel brand, which focuses on the rapidly growing group of ‘limited service hotels’ in the hospitality segment in Europe. MOXY focuses on the millennial traveler, those who understand that style can be delivered at attractive prices. MOXY has the full power of Marriott behind it and the style, innovation and tech-savviness that Gen X and Y travelers demand. From modern rooms to a vibrant lobby and a café-bar, MOXY offers an experience that is bold, confident and trendy. Residence Inn is a hotel concept that targets guests staying in the city for a longer period of time, usually five or more nights. The hotels in this hospitality segment are called Extended Stay hotels. Residence Inn recognizes the different needs of long stays and is designed to restore and sustain travelers so they can thrive. Each room is actually a suite which is more spacious than a standard hotel room offering separate areas for sleeping, working, eating and relaxing. The kitchen is fully equipped with a cooker, microwave, full refrigerator and dishwasher allowing guests the opportunity to enjoy a meal at their own leisure. The public space allows guests to relax outside of their rooms in social areas. Guests can enjoy a daily complimentary breakfast, a bar/lounge for drinks or a light meal and items that can be purchased at the ‘Market’. Cycas Hospitality will operate the hotels under a franchise agreement of Marriott. Cycas is a hotel management company that specialises in Extended Stay hotels. Cycas Hospitality has been collaborating with the Intercontinental Hotel Group (IHC) and Marriott to bring the Extended Stay hotel brand from the United States to Europe since 2008. Cycas is currently developing hotels in the United Kingdom; in London and in Liverpool, and is developing two hotels in Manchester. They aim to expand to the rest of Europe. “We are delighted to be working with Cycas on the development of a Moxy Hotel and a Residence Inn by Marriott in Amsterdam. Cycas has demonstrated strong hospitality expertise and professionalism and we are confident the properties will be a great success with more opportunities to come,” says Markus Lenhert of Marriott. 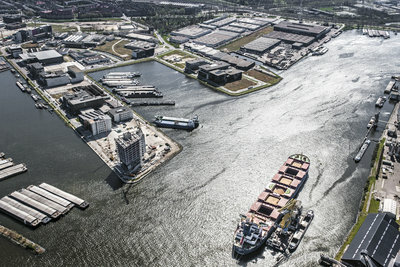 The Houthavens, previously an area of Amsterdam with an impressive industrial history, is located on the banks of ‘t IJ and is a state-of-the-art cultural and creative neighbourhood. A dynamic harbour atmosphere comes together with the sense of independence offered by the surrounding water, which is reflected by the creative industry hotspots. Many companies, such as Diesel, Hugo Boss, Barts, Toms, Dedato Architecten and Aegis have established offices here. 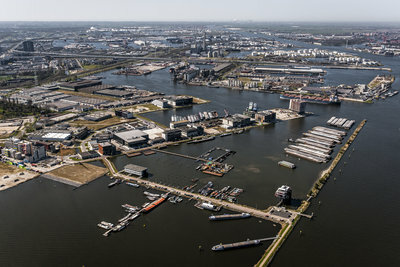 The Houthaven district has become an easy to reach, future-proof and stimulating place to work as a creative hub of excellence with a beautiful view over ‘t IJ and its harbours. “We’re happy to be part of this exciting project with our first hotels in the Netherlands, especially on this spectacular location. The increasingly lively and creative area is very attractive for these hotel formulas. 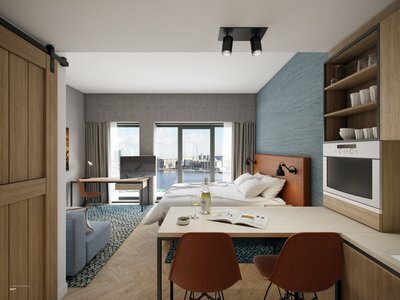 After London, Liverpool and Manchester we are bringing the Extended Stay hotel concept to Amsterdam,” explains Eduard Elias, Managing Partner of Cycas Hospitality.